To start the game, player should choose the postion and place a bet. Then select the cannon to fish. It has many cannon such as: common cannon, advanced cannon and special efect. All the cannons have different net sizes and power level, players can change their cannon at any stage during the game using the ‘Cannon’ change button. After choosing a cannon, players target and attack the fish to get points. There are many types of fish correspond with different points. - "Machine Gun": Bullet attack, when the bullet did not hit any fish and not out of screen, it will rebound up to 3 times. - "Magnetic Gun": Lighting attack, target and attack the fish. You also can change the target to attack. - "Zap Cannon": Straight line and huge area electro energy attack, deadly power. Kill " to obtain this cannon, fire when touch, only can fire once. - "Drill Cannon": Huge impact of drill back and forth, will bounce many times, will explode when stop. Kill " to obtain this cannon. Fire when touch, only can fire once. - "Flames of the storm": Fireball attack with fire damage, the fireball will rebound up to 3 times when hit the edge of screen. Kill "" to obtain this, time limit 30 seconds to use. - "Chain Bombing Crab": 2-5 times huge area explosions, strong power. Kill " to obtain this effect, it will auto explode. - "Chain Lighting": Lighting aura will randomly captures 2-5 fishes, then explode and inflict lighting damage. Kill fish with lighting aura '" to obtain this effect. - "Whirlpool": Whirlpool damage, whirlpool will absorb same species of fish when they appear, when same species of fish to be absorbed disappear will get points. Kill the fish with fluorescent and twist aura " to obtain this effect. 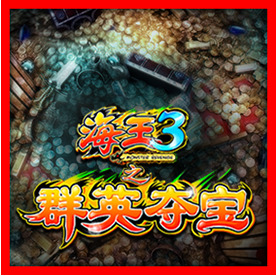 - "Golden city Battle": Appear randomly in Kraken of Deep Sea Stage, stage for reward bonus points to players, where will get Emperor Whales with high score, as well as mysterious chest. - "Fishing Crosshair": Fishing tool, players use " to control the Fishing Crosshair, Click " to fishing. - "Treasure Chest": Mysterious chest of Golden city, high reward, which sealed in the deep of Golden city, move your Fishing Crosshair and get all the treasures. Good luck.